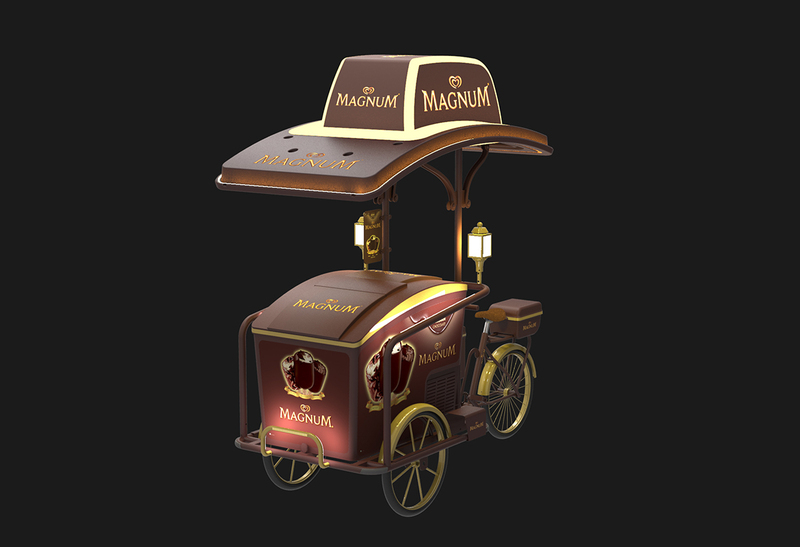 Magnum by Unilever is one of the leading premium ice cream brands in the world. 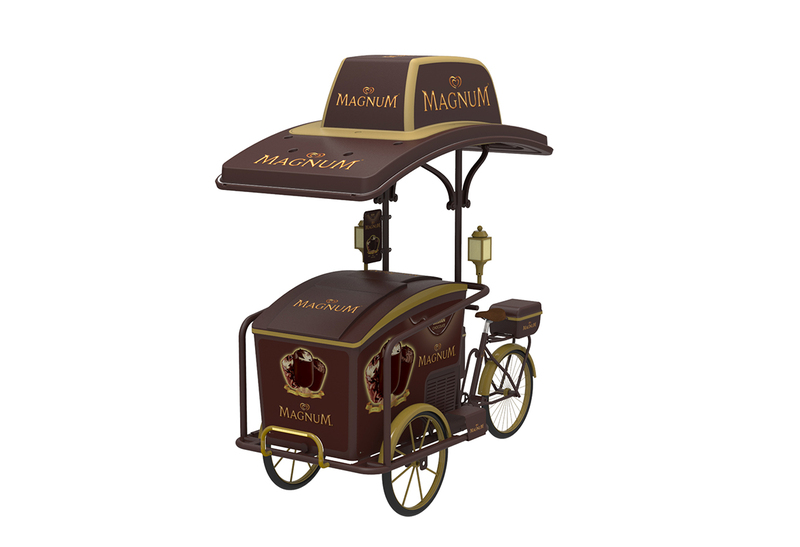 Magnum ice cream bars are made from the finest ingredients – silky ice cream dipped in thick Belgian chocolate. 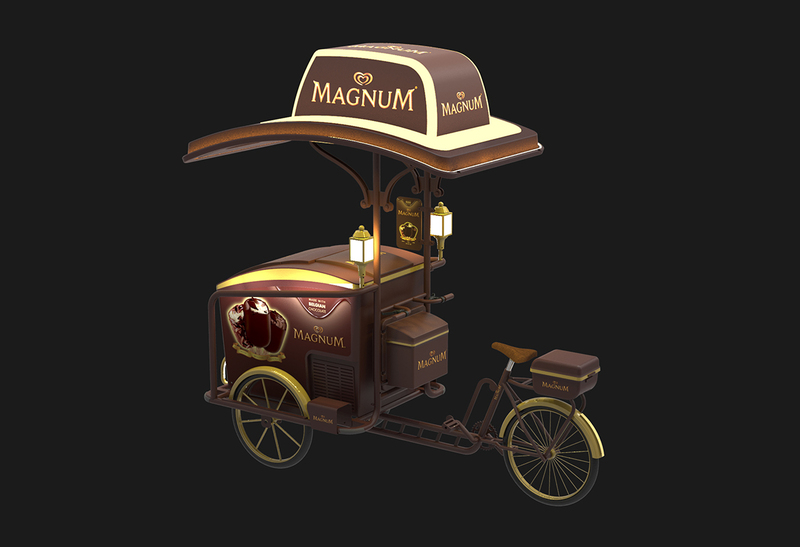 Working closely with the HUL team, Studio ABD pushed the boundaries of form and fabrication to design a trike that’s as rich and sinful as the ice cream itself. The entire structure was redesigned, from chassis to canopy, so as to create a new aesthetic that is refined and contemporary. 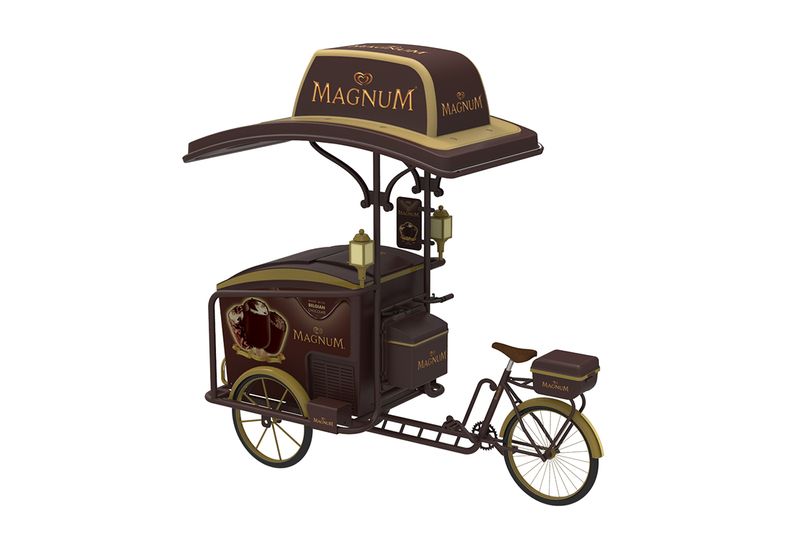 Inspired from classical Belgian architecture, the unique design language flows down into details like brackets and lamps, making the trike a truly avant-garde art piece. 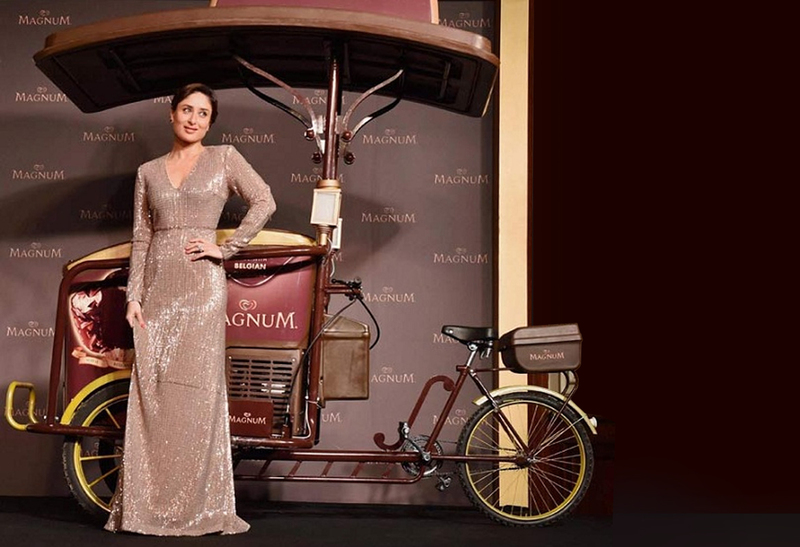 A perfect ode to an absolutely royal Belgian treat!